This post is part of the “In Their Own Words: Reform Champions Speak About Incentives for Fiscal Openness” series. The original interview was conducted in 2015 as part of a Global Initiative for Fiscal Transparency (GIFT) and International Budget Partnership (IBP) research project. Read more posts from the series here. Benjamin Hill Mayoral held a series of important policy positions in the Government of Mexico, both in the Ministry of Public Administration (Executive Secretary of the Inter-Ministerial Commission for Transparency and Corruption Control, and Head of the Transparency Policy and International Cooperation Unit) and at the Ministry of Finance (Head of the Performance Evaluation Unit). While at the Ministry of Finance, Mr. Hill oversaw the creation of Mexico’s budget transparency portal, an award-winning initiative that has greatly improved citizens’ access to budget information. 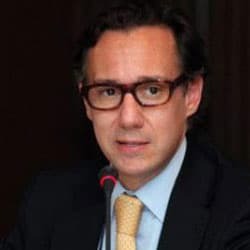 In this interview with Paolo de Renzio, Senior Research Fellow at the International Budget Partnership, Mr. Hill recollects his efforts to build the portal and other related reforms. What were the fiscal openness reforms that were introduced in Mexico, and what was their impact? The starting point for many of the reforms in Mexico is the year 2000, when for the first time in 70 years an opposition party won the elections, opening the doors to a period of reform and renewal, with Access to Information (ATI) reforms being among the first to be enacted. Despite the recognized quality of Mexico ATI legislation, we saw that it was not sufficient to improve Mexico’s rankings in a number of international indices like the Corruption Perceptions’ Index published by Transparency International. We therefore started thinking about other, more proactive forms of disclosure that could better respond to social demand for information. Access to information can be very broad, and citizens sometimes do not always have a clear view of what information they may need, what kind of information the government has, and which specific institution they need to approach to ask for relevant information. Citizens also need information on policy formulation and ongoing initiatives, rather than the post facto information that citizens can usually access through ATI requests. The effects of the global financial crisis in 2008/9 led to a heated debate in the Mexican congress about allocating scarce resources. Transparency again became important in the justification of important policy choices. We therefore looked at a few examples from around the world, from the Brazilian transparency portal to Australia’s Economic Stimulus Plan portal, and especially at the U.S. portal recovery.gov, based on Obama’s economic recovery plan. We wanted to develop a user-friendly tool using simple language and geo-referenced information to facilitate dissemination of information and ultimately accountability. Requests in a similar direction were coming from civil society groups as well. We faced both political and technical challenges in our endeavor, but we gradually managed to overcome them, and with support from the IADB we set out to design our own budget transparency portal. The portal was eventually launched in 2011 with high-level support from the Minister of Finance himself. This helped gradually shift the culture in the Ministry of Finance, which was very opaque and suspicious of transparency initiatives. A few years later, there is a lot more commitment to transparency and openness in the budget process. The portal has become an important tool for both governments and CSOs, has won prizes and contributed to improvements in the Open Budget Index score for Mexico. Also, the portal has helped improve the level of public debate on budget policies, with more media stories, more research using budget information, and so on. What were the key factors that shaped government incentives in adopting and sustaining these fiscal openness reforms? Initially, many people were not convinced about the need for further transparency reforms, questioning the need for proactive disclosure, given the strong Access to Information procedures already in place. Incentives therefore were not very strongly in favor of reforms. What we did was start constructing a new narrative that eventually turned the creation of the portal into a political necessity. The new narrative was based on three elements: a) government had all of the information needed to populate the portal, and all it had to do was organize it in a more user-friendly manner; b) there was demand from the media and civil society for fiscal information; and c) other countries — including some in the region — had already created their own portal, showing that it was possible and leaving Mexico lagging behind. We argued that it was only a matter of time before nongovernmental actors were going to use publicly available information — or ATI requests — to set up a separate portal, showing the lack of government commitment to transparency and to responding to citizens’ demand for information. Pressure from civil society came mostly through the media and helped build support for reforms within government. Some civil society groups and think-tanks are quite influential and respected in Mexico, speaking on TV programs, writing op-eds, and more generally influencing public opinion. But given some of the overlapping interests we had with some civil society groups, we set up meetings and working groups to see how the portal could better respond to information needs, and in return we could understand how to showcase the portal and use it to improve Mexico’s score in international indices like the Open Budget Index. Congress, on the other hand, did not get actively involved in the reform discussions. Getting political support for the portal gradually became easier, combining the expected benefits of adopting the reforms and the costs of not adopting them in a single, powerful narrative. The culture shift that followed came from a combination of continued top-level political support and from the increase in legitimacy that came from international recognition. What is the role that international initiatives like GIFT could play in promoting fiscal openness? GIFT could ensure that international comparative indices — like the OBI — are used for putting issues on the public agenda in different countries, and help indicate reform paths. International comparisons can be quite powerful for creating some competition and motivate governments to reform. In the case of Mexico, I can tell you that one of the best ways to get the Mexican government to do something is to say that Brazil is already doing it! The interview took place on 1 September 2016. Salamanca, M. and T. Takahashi (2015). Opening Lanes: Budget Transparency and Innovation in Mexico. Washington, DC: Global Initiative for Fiscal Transparency. Ackerman, J.M. (2013). “Budget Transparency and Accountability in Mexico: High Hopes, Low Performance.” in Khagram, S., A. Fung and P. de Renzio (eds.) Open Budgets: The political economy of transparency, participation, and accountability. Washington, DC: Brookings Press. (pp.130-157). This post also appears on GIFT’s blog here.